Another new thing: I’m giving Goodreads a try. Where I’ve posted a substantive review of a book (rather than just a rating), I’ve provided the link to my review. I’ve also included author-website links for writers I know personally. The books are listed in the order read. 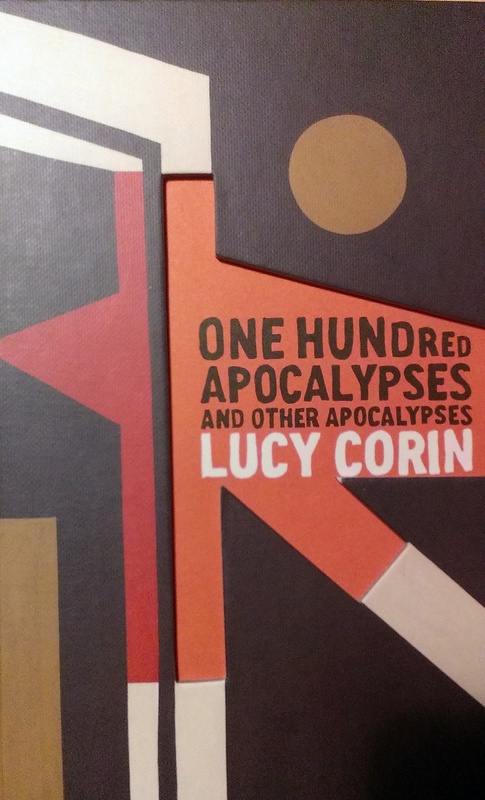 Lucy Corin, One Hundred Apocalypses and Other Apocalypses (stories).Some wonderful language in this collection of mostly short shorts. Miguel de Cervantes, Don Quixote (tr. Edith Grossman). A very odd book. Etgar Keret, The Bus Driver Who Wanted to be God (short stories; various translators). Keret is brilliant: weird, inventive stories with a heart. Gabriel García Márquez, One Hundred Years of Solitude (tr. Gregory Rabassa). I remember being blown away the first time I read this, although I also recall giving up trying to keep track of all the Buendias. This time, I kept track a lot better, but somehow was less impressed? China Mieville, The Scar. I will read anything by Mieville. This is among his best, although the ending was a bit abrupt. Colson Whitehead, The Noble Hustle (memoir about playing high-stakes poker). Nothing he’s written has matched The Intuitionist, but he’s got a wonderful self-deprecating sense of humor that also came out in Sag Harbor. Fyodor Dostoevsky, The Brothers Karamazov (tr. Richard Pevear & Larissa Volokhonsky). Always among my top 10 favorite books of all time. Still up there. And the first 90 pages are still a slog. Josh Weil, The Great Glass Sea. A really interesting take on fraternal devotion, set in a not-too-distant alternative reality. Terry Pratchett, Raising Steam. Among the worst Discworld books I’ve read. I quit. 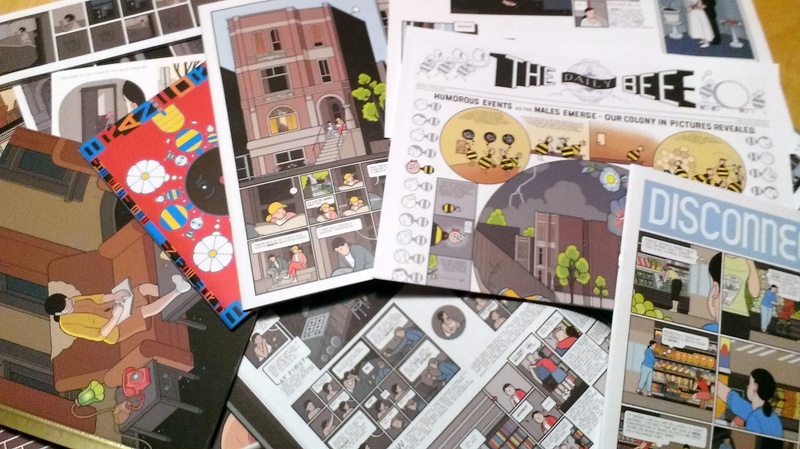 Chris Ware, BUILDING STORIES. A box full of stories. Mario Vargas Llosa, The Dream of the Celt (novel, tr. Edith Grossman). I learned a lot about Roger Casement but never felt captivated by the story or its characters. Jen Marlowe, I Am Troy Davis (non-fiction). My Goodreads review. Henrik Ibsen, A Doll’s House (drama, tr. William Archer). Still powerful. C. K. Williams, The Singing (poetry). It sings, truly. Margaret Cohen, The Novel and the Sea (non-fiction). Scholarly work on nautical fiction. Pat Barker, Toby’s Room (novel). 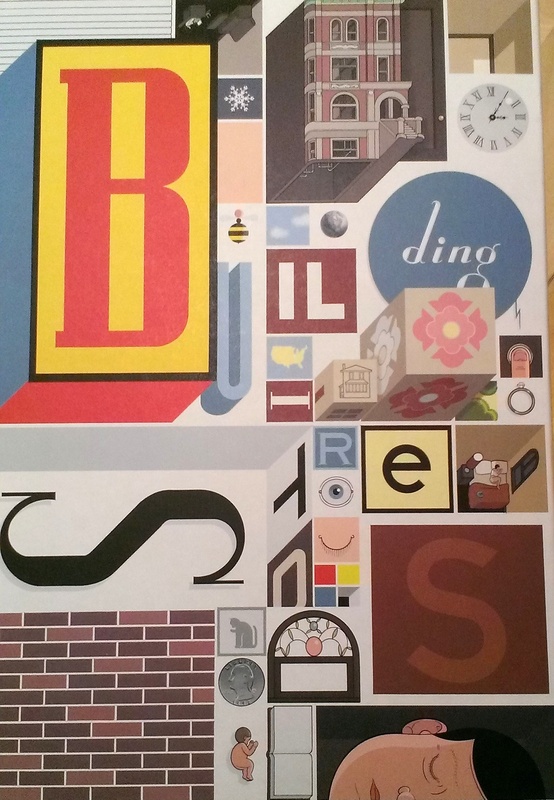 My favorite remains Regeneration and its sequels, but I never tire of Barker’s obsession with artists and World War I.
Chris Ware, Building Stories (graphic novel). “Graphic novel” doesn’t quite do justice to this extraordinary project. What you get inside of the box o’ stories. Andrew Miller, Oxygen (novel). Suggested by my friend Susan. An engrossing novel of 18th-century Paris. Maria Semple, Where’d You Go, Bernadette (novel). Funny and acerbic. But one of these days I’m going to do an angry post about white writers’ uses of minor characters who are Asian, and this book will be Exhibit B (Exhibit A will be Jonathan Franzen’s Freedom & Exhibit C might be Flanagan’s Narrow Road to the Deep North, listed below). Donna Tartt, The Goldfinch (novel). My Goodreads review. Anne-Marie MacDonald, Fall On Your Knees (novel). A gift from my friend Teresa. Uneven, but the best parts are terrific. William Shakespeare, The Tempest (drama). Always good. William Shakespeare, Much Ado About Nothing (drama). I’d never noticed before this reading, prompted by a terrific staging this summer by Davis Shakespeare Ensemble, just how disturbing and awful the whole Hero and Claudio plot is, and the way the play veers from comedy to horror and never, in my mind, successfully finds its way back. Yiyun Li, Kinder Than Solitude (novel). Dark but satisfying. Dark and satisfying. Janine Beichman, Embracing the Firebird: Yosano Akiko and the Birth of the Female Voice in Modern Japanese Poetry (non-fiction). Research for book 2. Helen Vendler, Dickinson: Selected Poems and Commentaries (poetry & non-fiction). Suggested by my friend Alan. My Goodreads review. Gabriel García Márquez, One Hundred Years of Solitude (tr. Gregory Rabassa). Hypnotic. Jeffrey Deaver & Raymond Benson, eds., Ice Cold: Tales of Intrigue from the Cold War (short stories). My Goodreads review. Kate Atkinson, Life After Life (novel). The “gimmick” of this novel is clever, but for me the highlight was its evocation of life in London under the Blitz. David James Poissant, The Heaven of Animals (short stories). My Goodreads review. Murakami Haruki, Colorless Tsukuru Tazaki and His Years of Pilgrimage (novel, tr. Philip Gabriel). I plan to devote a whole blog entry sometime this year to the intense love-hate relationship I have with Murakami’s work. Wendy Ortiz, Excavation: A Memoir (non-fiction). This memoir, about a relationship between a teenage student and her teacher, didn’t do anything I expected it to. The classic narrative of an evil man exploiting a hapless child is complicated and made more human and relevant in Ortiz’s telling. The Ten Thousand Leaves: A Translation of the Man’yōshū, Japan’s Premier Anthology of Classical Poetry (poetry, tr. Ian Hideo Levy). Part of my self-directed crash course in classical Japanese literature. A 1982 winner of the National Book Award in Translation, this book was supposed to be the first in a multi-volume translation of the Man’yōshū. Interestingly, the translator was a professor of mine at both Princeton and Stanford who left academia to become a writer. I followed a somewhat similar track. It’s too bad the project remains incomplete, but what we have is amazing. Earl Miner, An Introduction to Japanese Court Poetry (non-fiction). More research & another book by a former (and late) professor. John Lescroart, The Ophelia Cut (novel). John’s the only writer who shows up on my list more than once this year! Richard Flanagan, The Narrow Road to the Deep North (novel). My Goodreads review. Rule 1: You don’t have to be a genius. 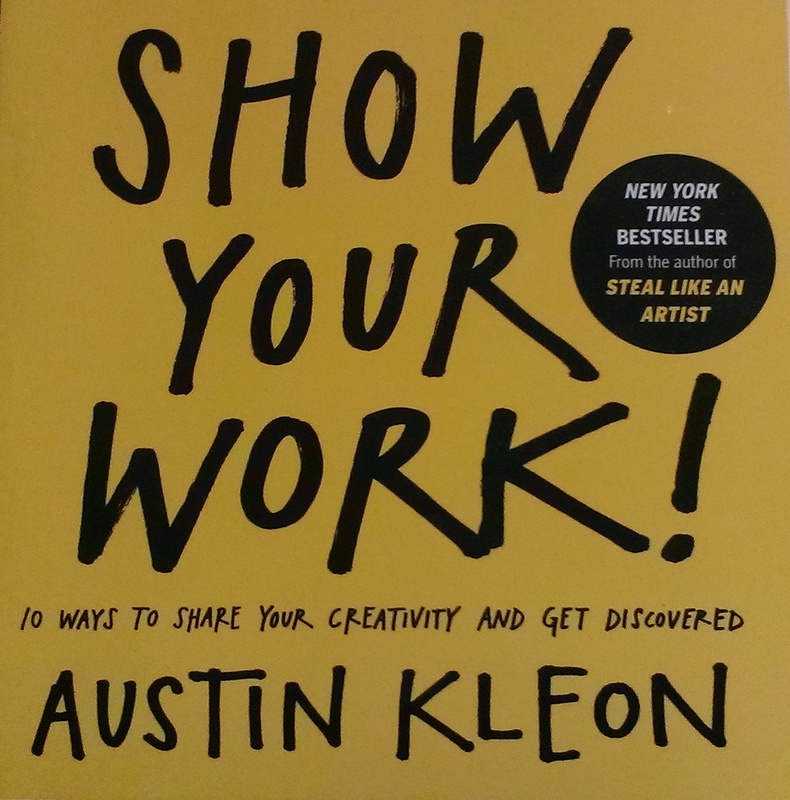 Austin Kleon, Show Your Work! (non-fiction). I expected this book to be both light and lightweight – and it is, but it’s also genuinely inspiring. I’ll probably find myself dipping into it again and again. John Lescroart, The First Law (novel). Another great read. Lois Ann Abraham, Circus Girl and Other Stories (short stories). All the stories are good; a few of them are truly excellent. Elizabeth McCracken, An Exact Replica of a Figment of My Imagination (non-fiction). My Goodreads review. 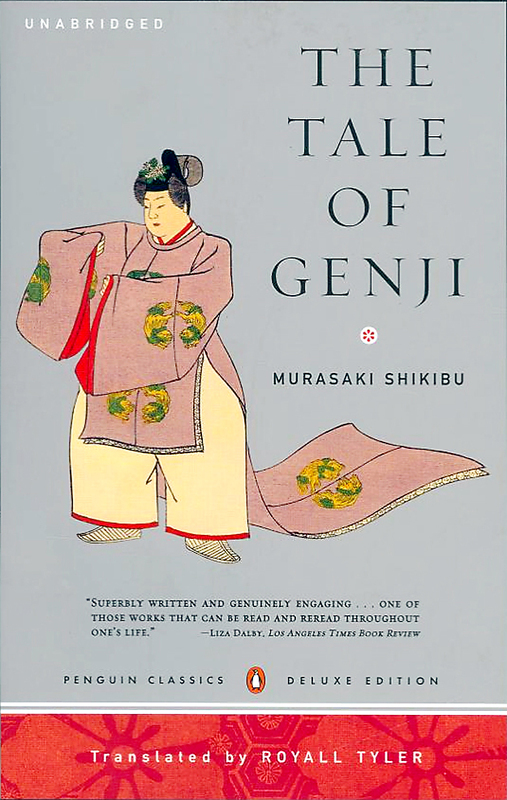 Murasaki Shikibu, The Tale of Genji (novel, tr. Royall Tyler). This book enthralled and upset me in equal measure. My Goodreads review. A final note: If you’ve been here before, you might notice that I’ve redesigned the site. I’m now using my own domain name (naomijwilliams.com) and have adopted a new, somewhat spiffier template (“theme” in WordPress-speak), which I customized with a lot (a LOT) of help from my older son. This is all in preparation for the release of my novel, Landfalls, in August of 2015. I’m hoping to blog more often in the new year, perhaps as often as monthly. Let me know what you think. I look forward to this annual post more than all the holiday letters I get combined. So glad you’re on Goodreads now too, Naomi! Thanks, Rae! Your comment helps me feel less guilty about sending no holiday newsletter or cards at all this year (or last year, or the year before that).